Best Cell Phone Repairs lives up to its name by providing a reliable cell phone service focusing on cell phone repairs in Odessa, Texas. For more than 10 years, we have been repairing all kinds of damages on cell phones of any make or model. 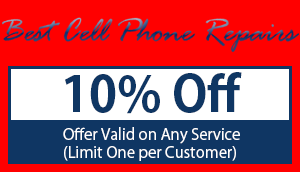 When you need affordable cell phone repair in Midland, TX get our express, 30-minute service at competitive prices. Our goal is to have 100% customer satisfaction everytime. Best Cell Phone Repair in Midland, TX & Odessa TX, is what you need to bring the functionality of your phone back. We have a large variety of cell phone accessories. Learn about how our repair service can get your phone working again. Knowledgeable technicians and cell phone repair experts handle all your cell phone concerns in our shop. Contact us today to know more information about our cell phone repair and cell phone screen repair services. If you have ever owned a cell phone that has become damaged, you already know how frustrating it can be. Not only are you dealing with a phone that is potentially unable to be used, but you also have to think about replacing it or trying to go through the process to have it fixed. What you should know is that you could have a chance at getting your phone to “good as new” condition or even better when you work with professional cell phone repair service in Odessa, TX. All you have to do is give Best Cell Phone Repairs a call and you can learn more about your options in quality repairs. There can be many times when you find that you will end up paying a whole lot more if you use the replacement plan through your cellular phone provider than simply looing for someone to perform repairs for you. Best Cell Phone Repairs is available to give you a quick cost estimate for the work that needs to be done to repair your cellular phone so that your device can be up and running again in no time at all. What Devices Do We Work With? Our professional repair experts have a great deal of knowledge on all sorts of devices. Whether you have an iPhone, Samsung or another type of cellular phone, we will be able to take a look at it and let you know right away what can be done. Just a few of the issues that we can help you with when it comes to iPhone repair in Odessa, TX include cracked screens, batteries, water damage, issues with microphones, cameras, power buttons, charging ports, mute switches, and much more. When you know that you are in need of quick, efficient cell phone repair in the Midland, TX area, you can count on Best Cell Phone Repairs to give you exactly what you need. Call our professional team today at 432-332-7860 to inquire about services and setting up a time to bring your cellular device in for repairs. Best cell phone repair is your one stop shop for affordable cell phone repair in Midland, TX or iphone repair, iphone screen repair, and samsung cell phone repair in Odessa/Midland Texas.